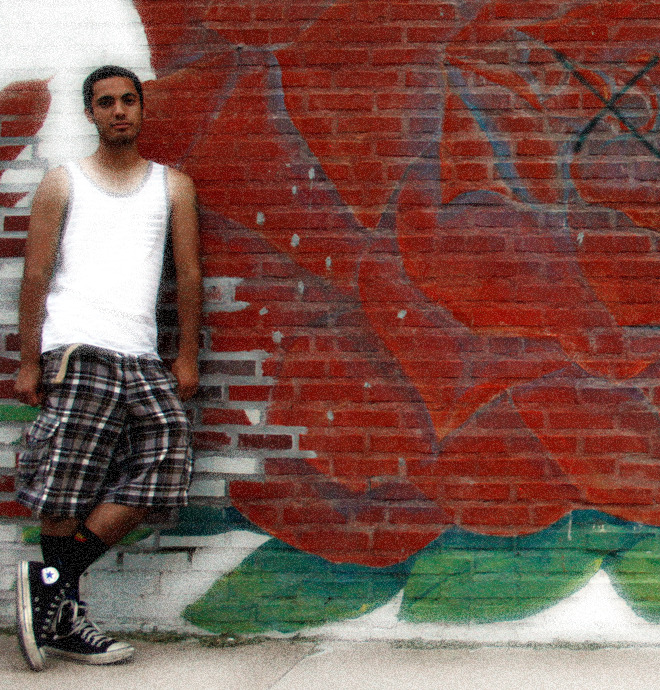 The Muzik Genesis project is a spiritual journey through human existence combining various forms of "genres." 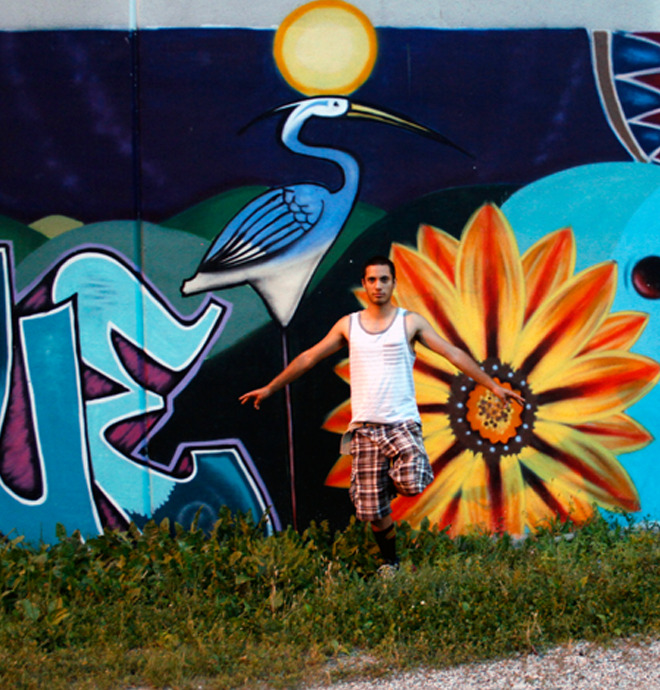 Muzik Genesis is both a Hip-Hop/, Experimental rock music producer and an Electronic Dance Music DJ. If Pablo Orozco-Castro were living in the Renaissance era, he probably would have been an alchemist, which is someone who takes something ordinary and transforms it into something extraordinary. Just as his counterparts that lived in the Middle Ages, today Pablo fulfills his life’s dreams by using instruments to interblend their vibrational essences. Pablo is the brainchild of an artistic project he calls Muzik Genesis. He melds his mixture of hip-hop, rock, and jazz, as well as a myriad of other genres, into songs that explore the matrix of moods. He composes outside the box, yielding a limitless and timeless flavor to his artistry. Pablo is the “Aural Alchemist” behind Musik Genesis, forging an amalgam of sounds via an uncanny stylistic synergy. Pablo’s entire family had musical backgrounds, which set the foundation for him to acquire a unique perspective of knowledge and a wide array of influences. His father and older siblings helped shape and define Pablo, as well as the Muzik Genesis project, by introducing him to hip-hop and rock early on. During his childhood, he was also trained as a jazz musician and trumpeter. “From elementary school onward I studied jazz, along with many other musical styles,” explains Pablo. It was while attending New Roads High School that Pablo had an epiphany. This point in time was a vital turning point for Pablo and his music, as he began to create a hybrid of genres. In 2009, Pablo attended the University of California at Santa Cruz, where he studied psychology and politics. Harnessing his education, Pablo’s artistry took on a socio-political feel as he added psychological elements to his lyrics. The classes he took and subjects he studied resulted in songwriting that reflected empowering messages and meaning. Pablo’s music evolved as he infused elements of heavy metal, punk, downtempo, jazz, as well as electronica and hip hop. The major artistic influences that formed the Muzik Genesis project came from Pablo’s love of bands such as Nas, System of a Down, Tool, Rage Against the Machine, Flobots, and Stone Temple Pilots. In high school, the band performed an interpretive jazz cover song of Stone Temple Pilots “Interstate Love Song” utilizing trumpets. 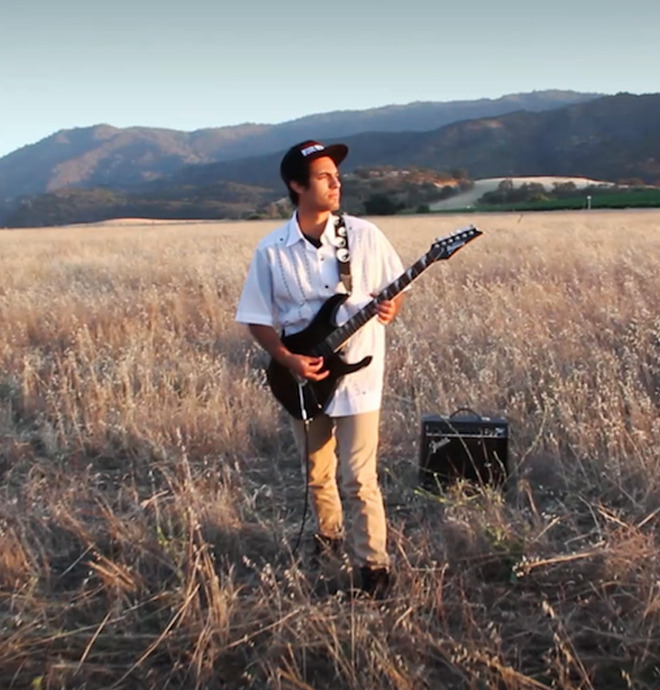 When it comes to penning lyrics, Pablo’s inspirations came via Serj Tankian, Daron Malakian, Zack Rocha, Shing02, Tom Morello, and Geologic. “I still think my biggest influence to date is System of a Down and their two CDs, Mezmerize, and Hypnotize.Video game soundtracks also had an impact on Pablo as he explored both Anime and the Otaku culture. As Muzik Genesis, Pablo released his debut album, Retrospection in 2015. “This album is the apex, as well as, the culmination of years of hard work and study.” Pablo continues,” Retrospection was born out of my studies in psychology at UCSC. This concept was one I encountered in philosophizing human growth and development.” There is one cover song on the album called “De Colores,” a traditional folk song with its origins from Spain. In Retrospection, Pablo teamed up with guitarist Alex Varela and Dave De Leon, who were both vital in bringing the album to fruition. Retrospection showcases the Muzik Genesis experience, taking you on a spiritual journey that looks inward - with the creative goal of leaving the listener with a whole new outlook on themselves. As Pablo defines it, “retrospection” is a process in which an individual takes into account their cultural roots, personal history, personal experiences, using it as a tool to help guide others through their present and future lives. In a lot of ways, Pablo’s career and his project, Muzik Genesis, has been a dynamic display of retrospection. With compositions that combine so many ordinary elements to create something truly extraordinary. One wonders if indeed, long ago, Pablo was an alchemist amid the spirit, culture, art, and scientific revival of the Renaissance. Retrospection, the debut album from Muzik Genesis, is an eclectic collision exploring the human potential of Muse, melody and message. "This is a nice mind-expanding track here, bro." SANTA CRUZ, CALIFORNIA, U.S.A.) OCTOBER 5th, 2015 – Life would have little meaning without taking time to inspect and reflect on where one has been - or is going. 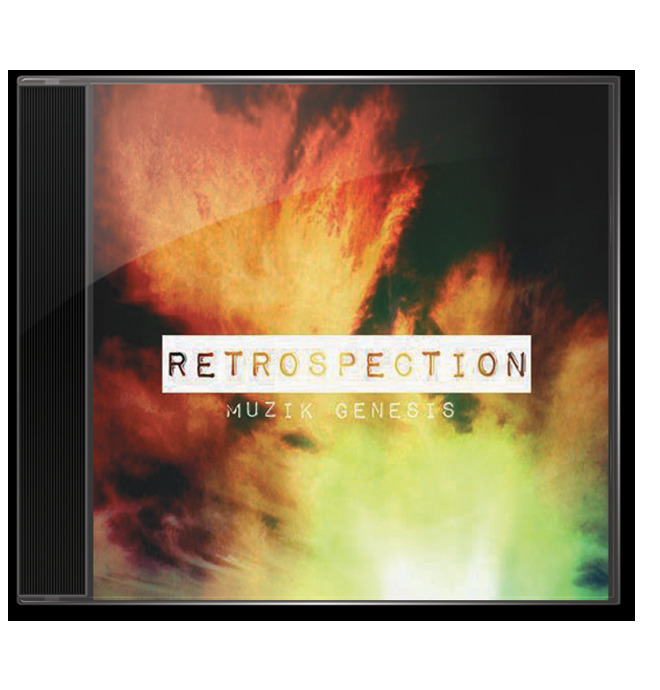 In his debut release, Muzik Genesis gets introspective on a thirteen-tracked-trek entitled, Retrospection. Using instruments, insight, and intensity, Muzik Genesis creates a mix of muse, melody and message in a poignant and eclectic collision of genres. While Retrospection is a debut for Muzik Genesis, he has an extensive background in music. He trained on the trumpet as a jazz musician from elementary school onward. He has explored every genre from the jazz standards to hip-hop and hard rock and everything in between. Within Retrospection, there are influences from a wide array of artists such as Nas, Stone Temple Pilots and the lyricist, Immortal Technique. This uncanny combo of inspiration led Muzik Genesis to forge his inimitable stylistic amalgam, which began as a hybrid of hip-hop and rock. Since then, his works have evolved to blend in electronic, DnB, and even hints of classic rock. As a debut album, Retrospection is the result of over a decade of artistic development, learning and stylistic development for Muzik Genesis as an artist, composer, producer, and multi-instrumentalist. The CD was purposely produced at his in-home studio with minimal high-tech equipment, yielding an element of realness. The creative goal of Retrospection is not simply entertainment, but “entertrainment.” It is about teaching the listener how to experience the past, present and future all at once – whether it be in musical genre or mindful journey. Muzik Genesis is now taking his sound from the studio to stage. He explains, “I’ve added the gifted talents of Alex Varela and Dave De Leon, who will help bring Retrospection to a live audience. Key tracks on Retrospection include the title track, with its almost subliminal messages mixed with a shredding guitar. Other tracks of note include “Colors of the Streets,” a high-energy DnB track entitled, “Experiment 3015 (DnB),” and “Desert Journey.” A video is now in production for “Desert Journey” and “Retrospection” which will release in early autumn. The album releases September 26th, and the CD Release party will be September 29th, 2015 at Twin Lakes State Beach in Santa Cruz, California at 4:00 PM. It’s a great chance to get an up-close introspective look at Retrospection and the mindfulness musings of Muzik Genesis.